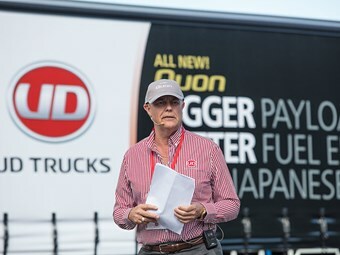 UD Trucks is offering one lucky driver the chance to use a truck from its range of Quon prime movers for an entire year in a new competition. Open to all transport operators with an Australian Business Number, the company will offer a Quon GK 17 420, a Quon GW 26 420 or a Quon GW 26 460 for the entire year. To enter, you must answer the following 'qualifying question'. "In 25 words or less please tell us how the New Quon will support your business." 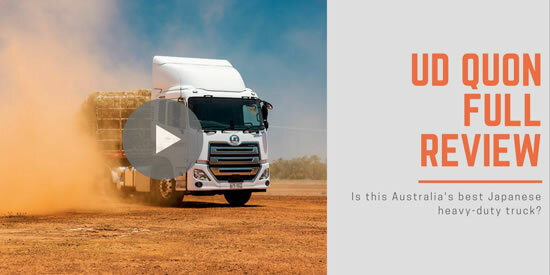 UD Trucks Australia vice president Mark Strambi said the company was confident in the truck and was looking forward to customers being able to use it for themselves. "We know our customers’ applications are varied, which is why we are offering a prime mover fit-out best suited to the winner’s application," he said. "We believe this is the best Japanese truck on market. Being the best is a big claim to make, but when you have created a truck like the Quon, we are confident that we can back it up." Work done on the new vehicle has refined its driveline to improve fuel efficiency, as well as introducing new safety technologies and complying with Japan’s pPNLT emissions standards, which in some ways exceed Australia’s Euro-VI emission requirements. The winner will also have access of 12 months of servicing through a UD Trust Basic service agreement, with comprehensive after sales services like Genuine UD Service and Parts, UD Trust maintenance support and UD Information Service ensure the optimal maintenance to maximise uptime. "While driver comfort and advanced safety features help keep your best drivers in your business, aftersales support and smart uptime is crucial in keeping your truck on the road," Strambi said. The competition opens today and will close on 4 October 2018. To enter, and to see the full terms and conditions of the competition, click here.